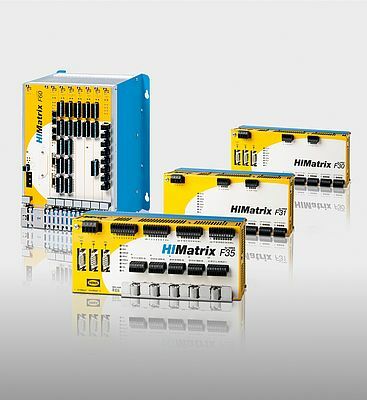 Specifically designed for use in applications that require very high speed, availability, or run on complex networks, the extended HiMatrix family from HIMA includes four new CPUs, namely F60 CPU 03, F35 03, F31 03 and F30 03. They can be programmed using the company’s SLIworX engineering tool. Featuring identical I/O specifications with the standard units, the enhanced systems include reload, sequence of events recording, and multitasking. They allow the assembly of fully redundant safeethernet networks. The reload feature can be used to extend plants and perform modifications during operation. The application program can be updated without disrupting the application during its operation. The sequence of events recording allows the definition of up to 4,000 events for each system, ensuring quick detection and elimination of failure causes Improved efficiency is ensured by multitasking, which enables the definition of program-specific cycle times. The systems have a basic cycle time of 2ms. A total of 5MB memory is available for programs and data as well as ComUserTask (CUT). Two MAC addresses can be defined for each system, allowing the processor and the communication modules to have their own IP address. The four Ethernet ports can be split as required by the application. Thusly, integration of fully redundant safeethernet networks is possible with HIMax systems, which can realize 128 safeethernet connections with up to 1,100 byte data exchange.